There's too much to write about in detail for each of the pcaps. Today's post has four pcaps with EITest Angler EK (a different payload each time), two pcaps with pseudo-Darkleech Angler EK sending Bedep/CryptXXX, and two pcaps with Neutrino EK sending something else. You'll have to review the pcaps for details. Background on the EITest campaign can be found here. Whenever I've seen pseudo-Darkleech script generate a URL with an .eu domain, it never works. And the URLs using those .eu domains look a little like Neutrino EK. I can't say if they actually are Neutrino EK, though. I suppose I'll figure it out if those domains ever start resolving. 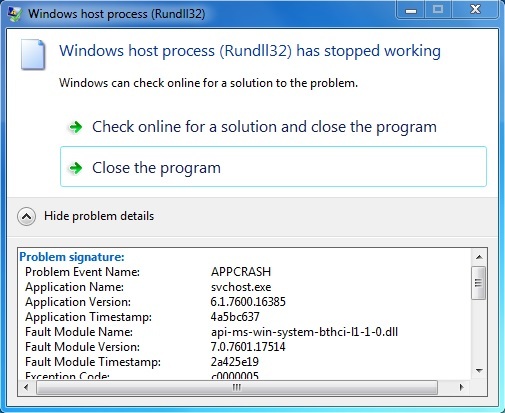 That svchost.exe is actually rundll32.exe. 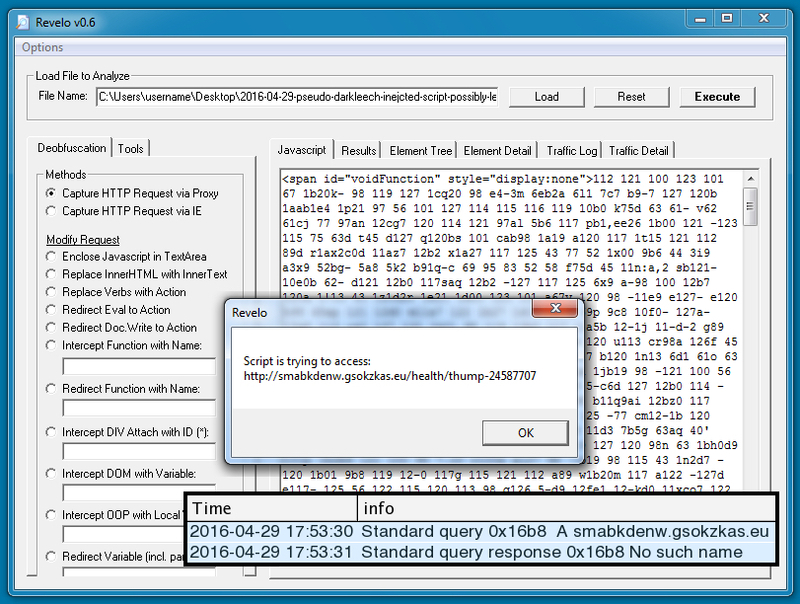 It's a legitimate Windows file (VirusTotal link). But in this case, it's being used to load the CryptXXX .dll file. I got an error during today's first CryptXXX infection on a 64-bit Windows host. I didn't see an error during the second infection on a 32-bit host. In both cases, the CryptXXX .dll file wasn't deleted like it normally is. Except for TCP port 443 callback traffic associated with CryptXXX, I didn't find any other signs of CryptXXX on the two infected hosts. The click-fraud traffic normally seen after Bedep still seemed normal, though. Various IP addresses and domains for the callback traffic. Review the pcaps for details.